What is Honest Abe, the man on the penny, doing on a site devoted to classic radio? Here's the secret. Here's the answer to the mystery. Not only is Abraham Lincoln still regularly written about, re-imagined, investigated, and portrayed (see the new film, Lincoln, directed by Steven Spielberg), but he was particularly popular as a subject for radio plays. 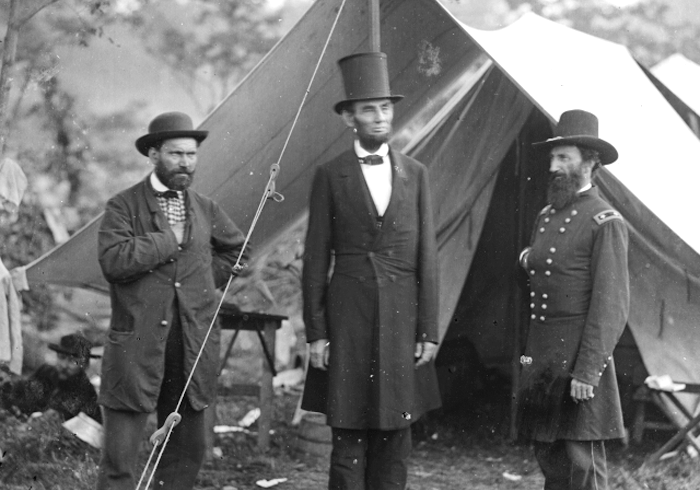 For one ready example, the popular show Cavalcade of America gave us a cavalcade of no less than eight original documentaries on Lincoln: Abraham Lincoln, Abraham Lincoln: The War Years, Ann Rutledge and Lincoln, Mr. Lincoln's Wife and others. In 1953, Crime Classics devoted its attentions to the assassination of our fourteenth president. The revered You Are There looked at the same topic in July, 1947, and covered the Battle of Gettysburg in 1948 and the capture of John Wilkes Booth in 1949. Maybe you were there for these original broadcasts. At any rate, it's still possible to snag copies of some of the old shows devoted to Abe, The Great Emancipator. Feb 20: Happy Birthday, Gale Gordon! Old Time Radio. Simple theme. Powered by Blogger.